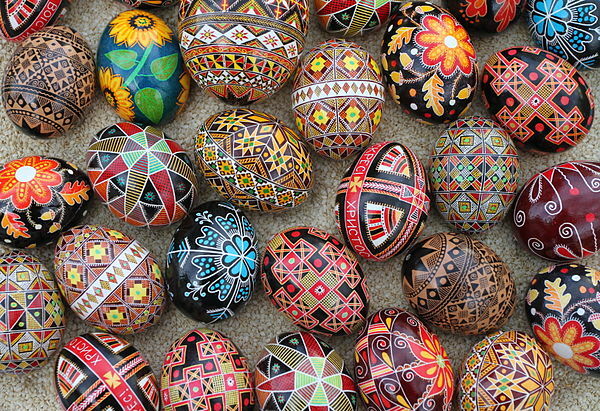 When I was a little girl growing up we would always decorate Easter eggs in the traditional Ukrainian way by making Pysanky. 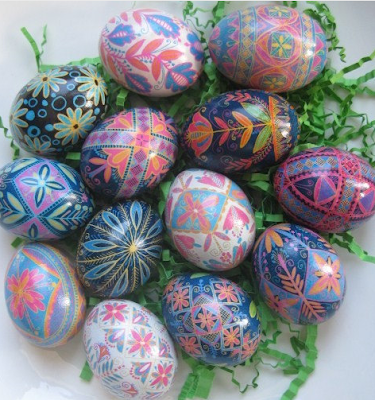 It is a very labor intensive process in which you basically make designs with wax on an egg, then dye the egg in different colors after each wax design layer is made. 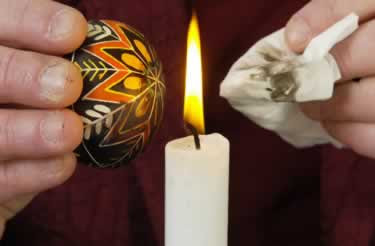 When your egg is done is looks black until you melt off the wax as shown in the photo below. Granted it takes forever and is truly an art but still a fun tradition to remember. Traditionally they look like the designs above, but new modern colors and designs are popular and full of inspirational color combinations. If you are short on time and patience you can purchase some from Etsy or DIY with something simple like the designs below with just the two tones of color. These are a little more up my alley for now until I can figure out how to get one more day out of the week! If you want to try and make them yourselves, you can get everything you need from Babas Bees Wax. 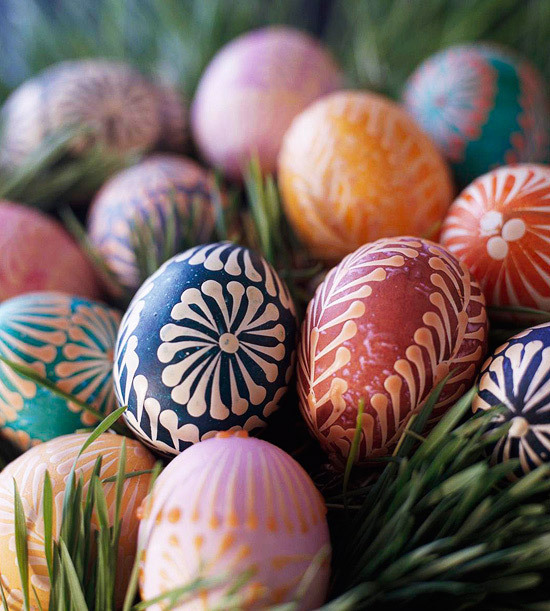 Those are very beautiful! It's the first time I've heard of Pysanky. I remember my great-grandmother making these when I was young. Another one of those lost arts I wish I took the time to learn.